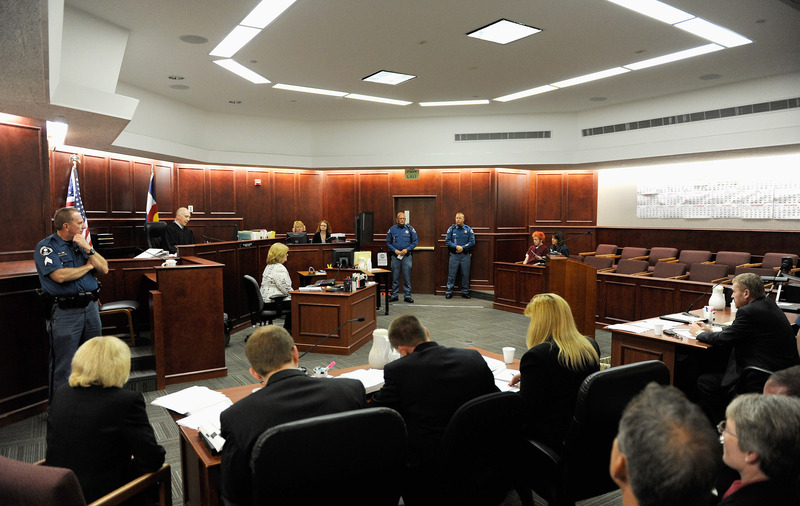 Nearly three years after a shooting in a suburban Denver movie theater that left 12 people dead and 70 wounded in Aurora, Colorado, on Tuesday a jury was chosen in the James Holmes trial, The Denver Post reported. Holmes' attorneys say he was suffering from a psychotic episode when he opened fire in a theater full of people waiting to see The Dark Knight Rises, according to the Associated Press. When he was arrested after the shooting, Holmes was wearing a gas mask, a helmet, and body armor, Reuters reported. He has been charged with 166 felony counts, and if he is found guilty, Holmes faces the possibility of a death sentence, which prosecutors have said they plan to pursue. Since Holmes, now 27, is pleading not guilty by reason of insanity, a psychiatric evaluation was required, which added to the delay for the start of the trial, according to the Associated Press. It took a long time to narrow down the huge pool of jurors as well, but after 12 weeks of questioning by Judge Carlos Samour and attorneys for both sides, 12 jurors and 12 alternates, which include 19 women and five men, were finally selected, the Associated Press reported. Both the defense attorneys and the prosecutors spent time asking the jurors whether they felt able to handle what is sure to be a complex case full of many grim details, including crime scene photos of the victims. District attorney George Brauchler said the trial, which is expected to take several months, would be a "roller coaster through the worst haunted house you can imagine," the Associated Press reported. And Brauchler warned them they might have to be satisfied with never being able to figure out why Holmes did what he did; the prosecution only has to prove whether Holmes committed the crimes, not what his motive was. Holmes' defense attorney Tamara Brady expressed concern whether the jurors could be objective, saying she was "nervous" about whether or not he could get a fair trial, according to The Denver Post. Brady also asked whether the jurors felt overwhelmed by the lengthy list of charges and whether they would be able to handle what is sure to be immense media interest and coverage of the case. For his part, Holmes allegedly did not show emotion during the proceedings Tuesday, according to Reuters. Opening arguments in Holmes' trial are scheduled to begin April 27.